We just returned from Belgium after spending 8 days meeting with vendors for our beer tour company, Bon Beer Voyage (www.bonbeer.com) . 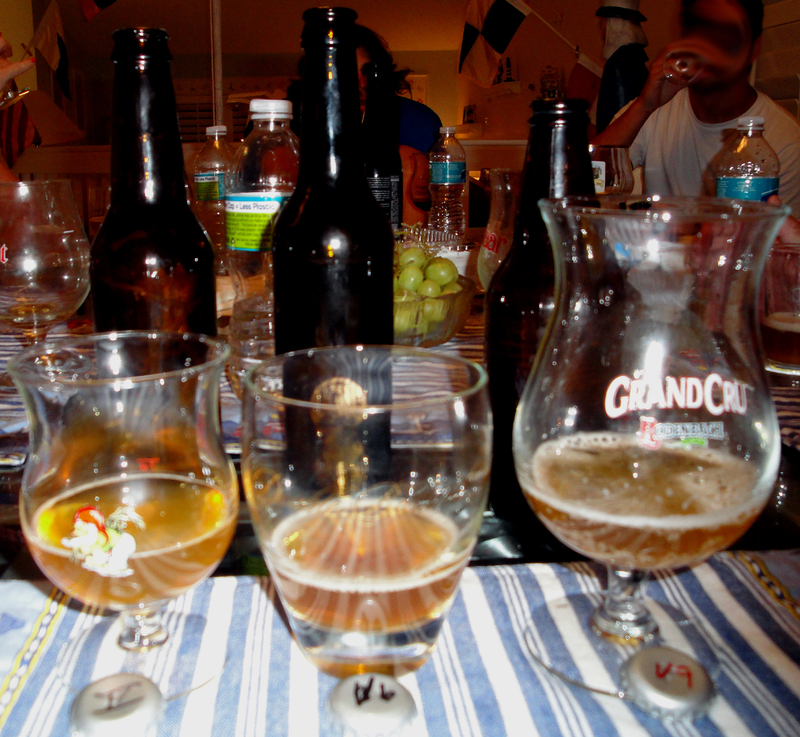 We visited Bruges, Gent, Antwerp, Mechelen & Brussels (yes, of course Westvleteren as well!) Over the next few days I will be posting the many beer encounters we had- including a tasting of what could possibly be a 40+ years old Westvleteren 8. This US version of a Belgium Strong Pale Ale held up well to what I had enjoyed in Belgium over the last 8 days, however it was not even close to the best beer I’ve tasted there. 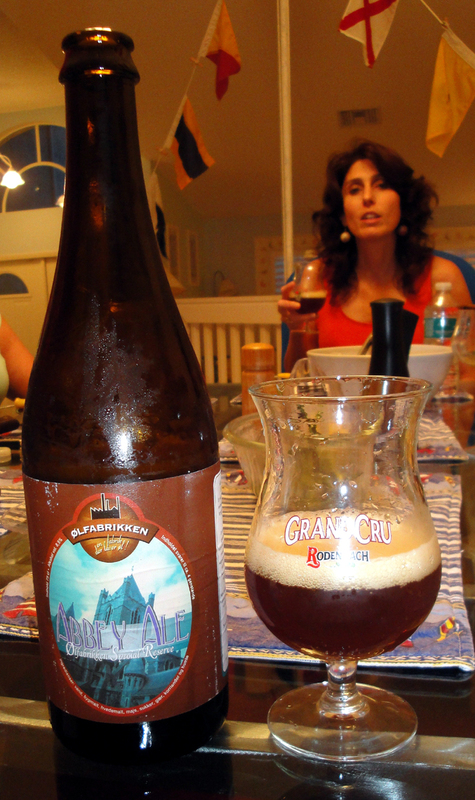 How served: 22oz corked and caged bottle poured into a Gulden Draak tulip glass. 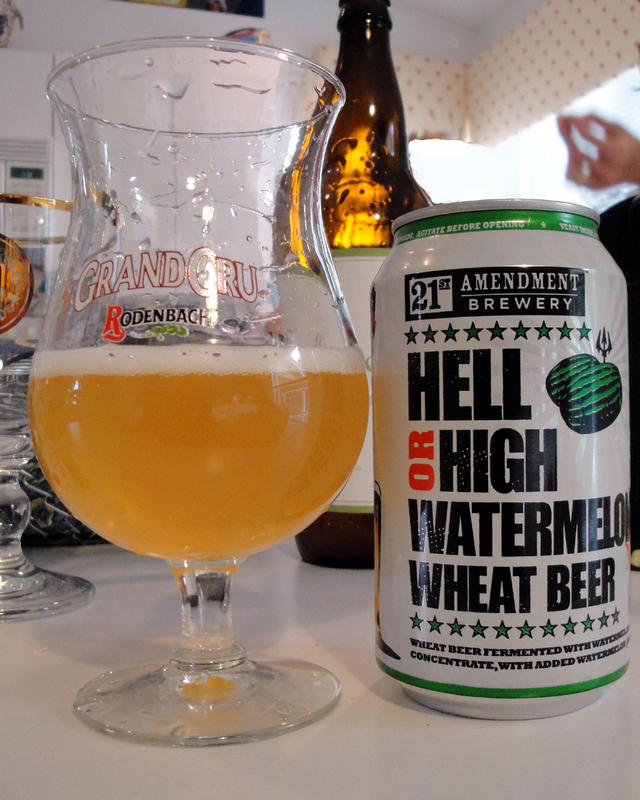 I paired this beer with: Baked Macaroni. 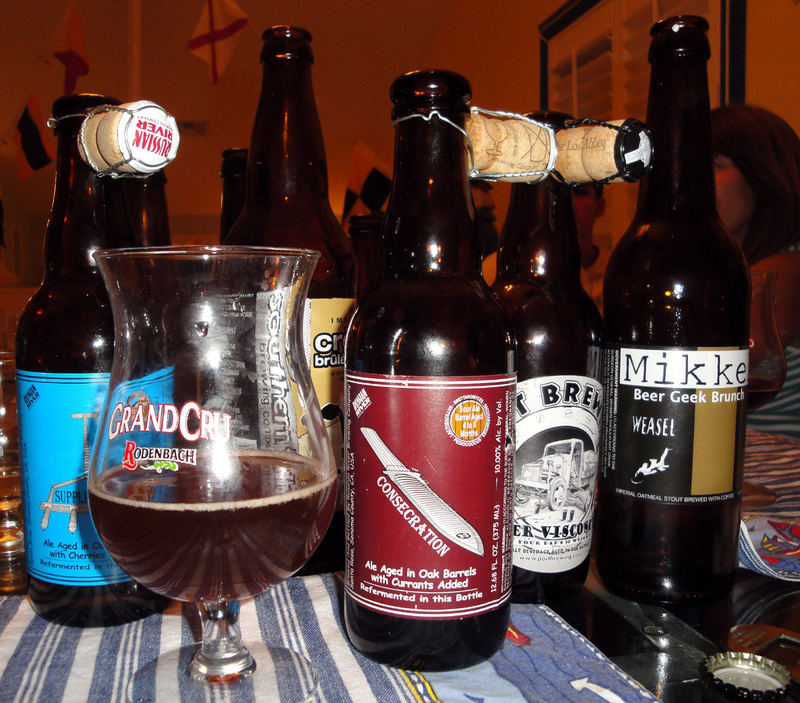 Tasted on: Monday January 4, 2010. 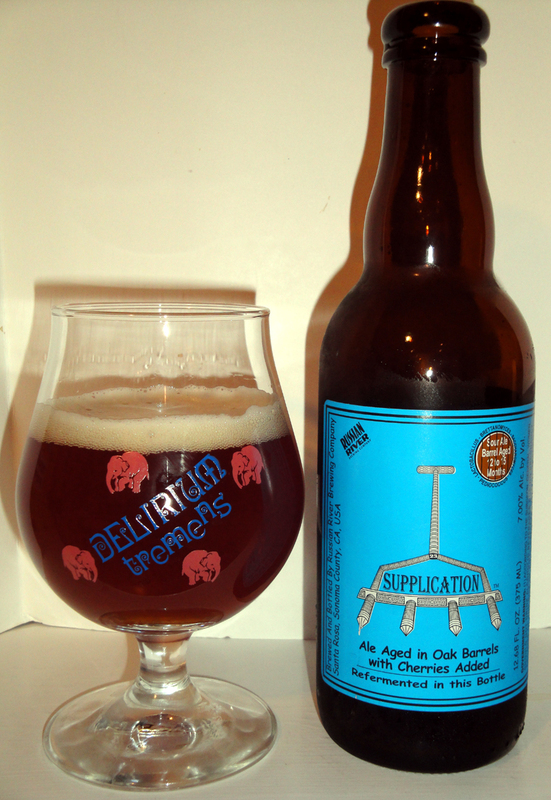 Note: This was batch # 041, which means it was brewed on 6/15/08 & bottled on 7/17/08. 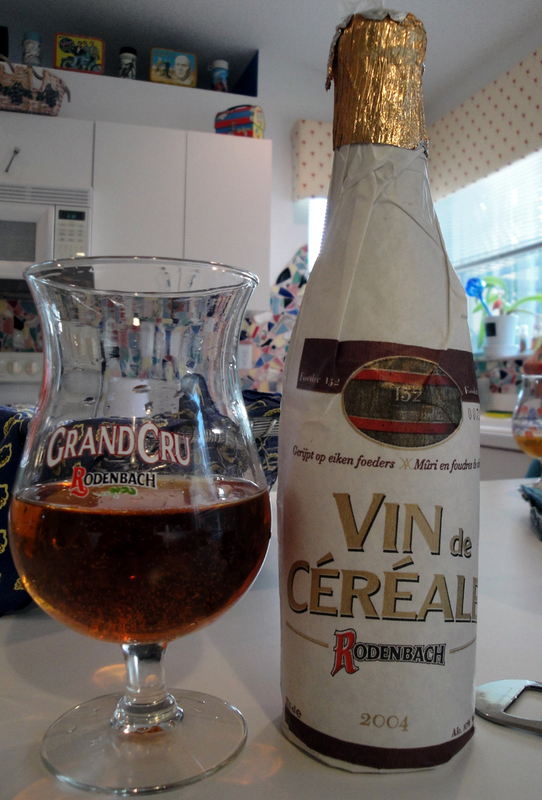 Primary Yeast was Trappist Ale Yeast & Conditioning Yeast R.R.Wine 1. On the Label: dam·na·tion, n 1. The act of damning. 2. The state of being condemned to eternal punishment in hell. Damnation is refermented in this bottle to create its fine carbonation. Spent yeast cells form a thin layer of sediment in the bottom of the bottle, adding more complexity and flavor. 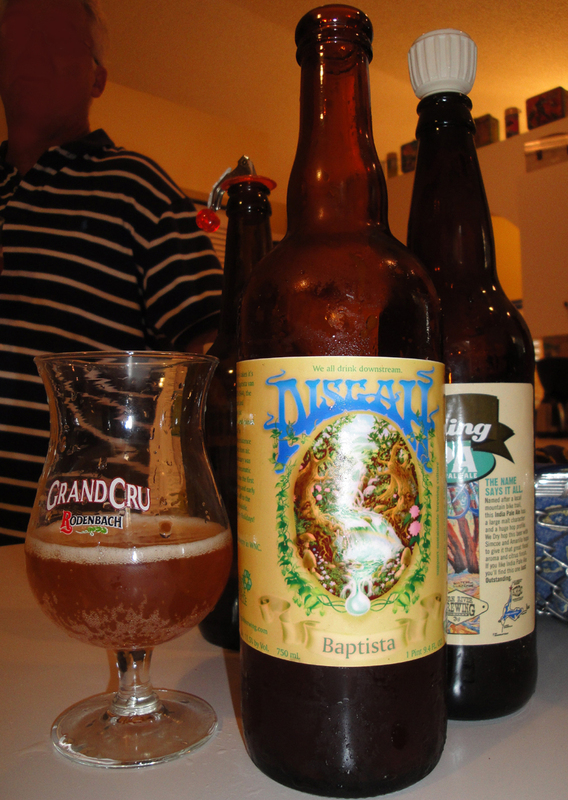 Pour slowly, allowing the natural yeast sediment to remain in the bottle. 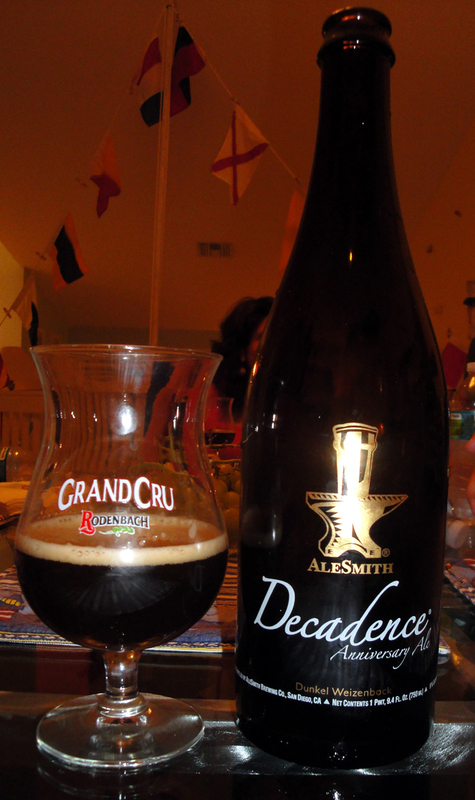 Overall this was a very tasty and refreshing beer & is very much recommended, however I felt it tasted better with 1 year aging vs. this one which I aged for almost 18 months. 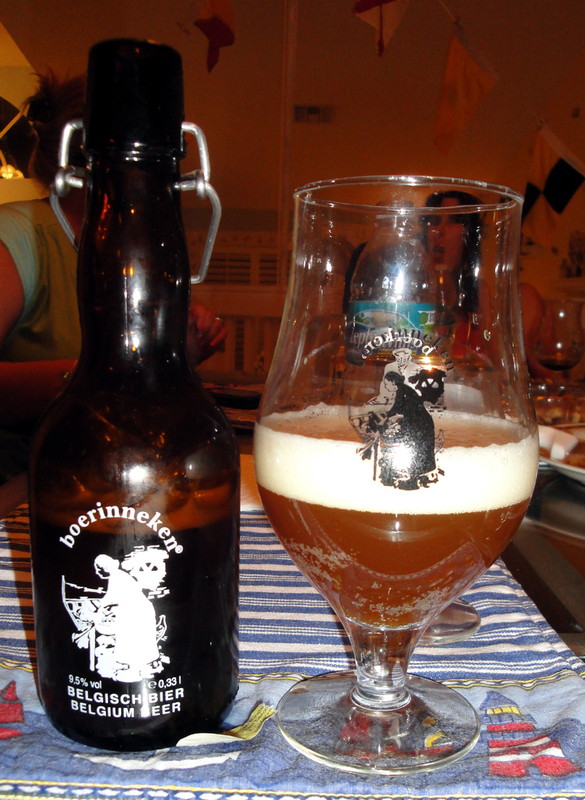 From their website: In the great beer producing country of Belgium, some brewers have made it a tradition to give their beers an unusual name. Sometimes the name is curious, now and then it is diabolical and other times it is just plain silly. Damnation is our brewmaster’s interpretation of a Belgian style Strong Golden Ale. 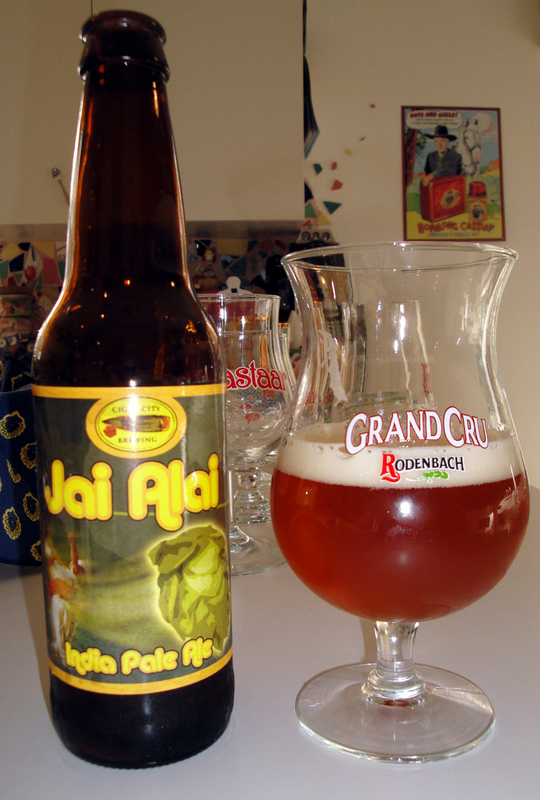 It has extraordinary aromas of banana and pear with mouth filling flavors of sweet malt and earthy hops. The lingering finish is dry and slightly bitter but very, very smooth. 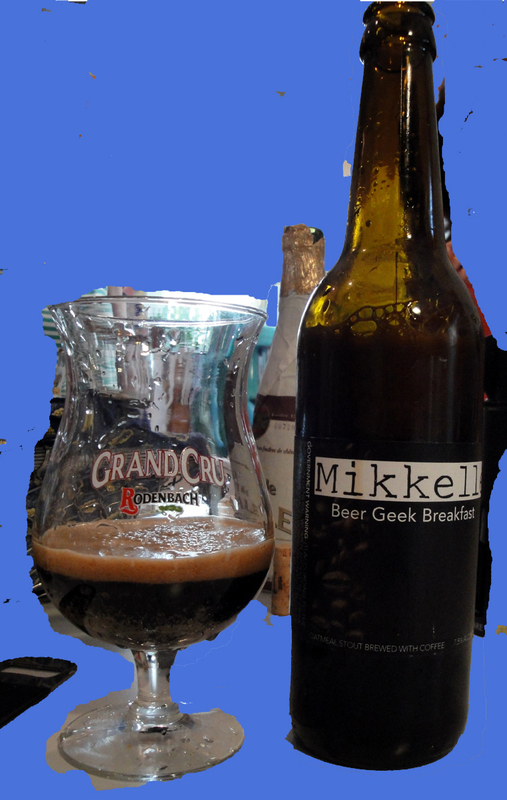 Available Year Round in the pub, for distribution, and in 750mL cork finished bottles. How served: 500 ml bottle poured into a Duvel Tulip. I paired this beer with: some pre-thanksgiving snacks. 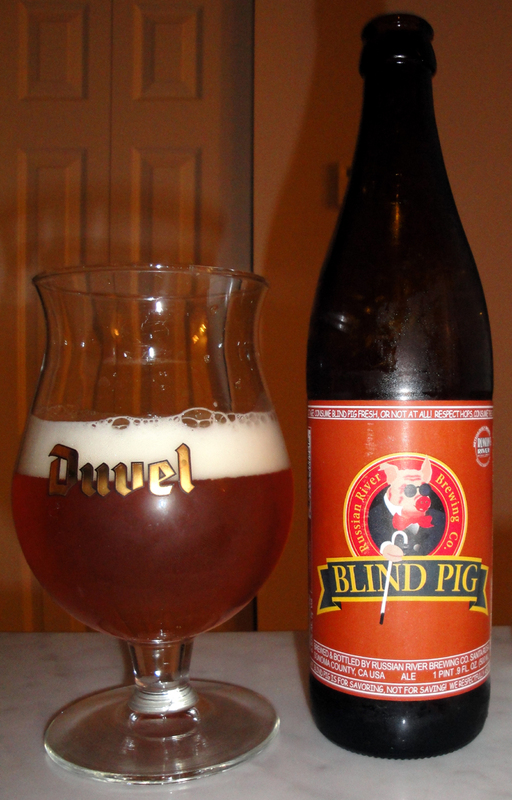 “Blind Pig IPA: Blind Pig IPA was originally brewed by Vinnie at Blind Pig Brewing Co. in Temecula CA. 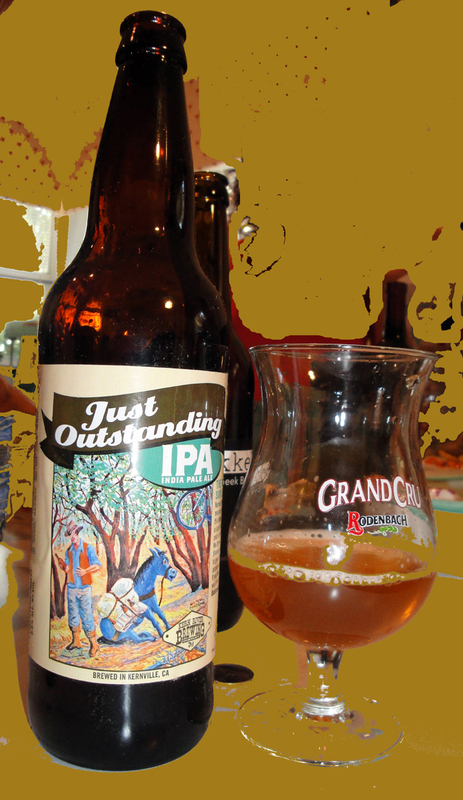 Inspired by the original Blind Pig IPA, this beer is loaded with hop character but only has 6.0% ABV. How served: 500ml bottle poured into a Dogfish Head snifter glass. My Overall Opinion: Amazing. This is the definition of “drinkability”. 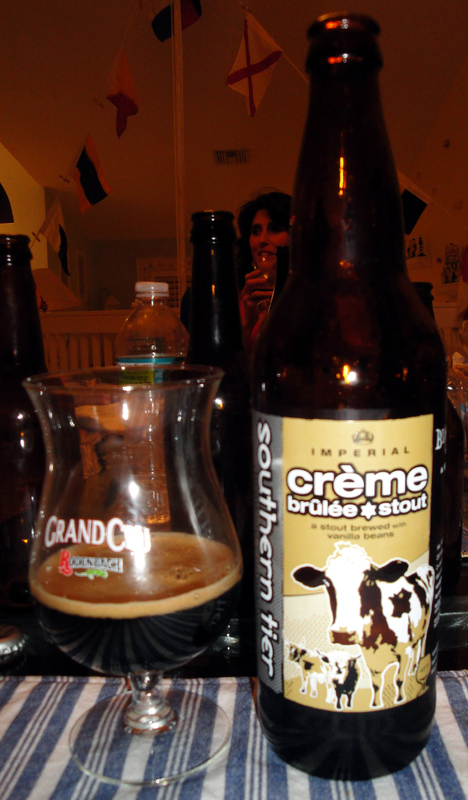 I paired this beer with: Boars Head hot Abruzzese sausage and Dubliner cheese. 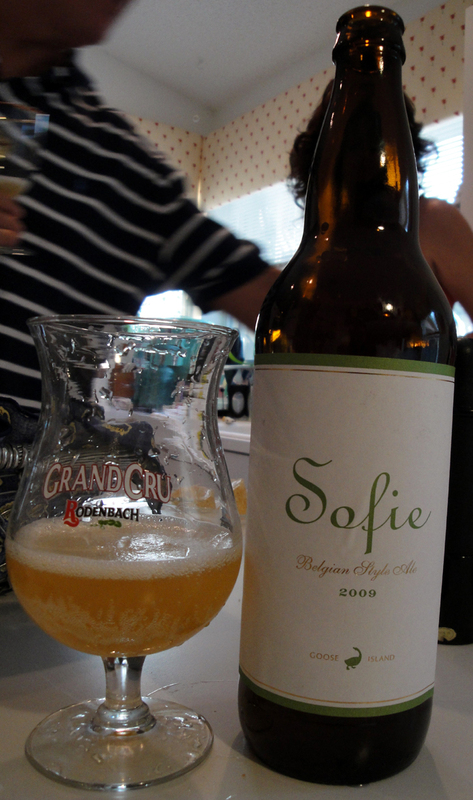 Note: Bottled on Sept 10 2009.